Loader Engineering in Masterton still regularly use this British built Dodge KT900 from 1982. 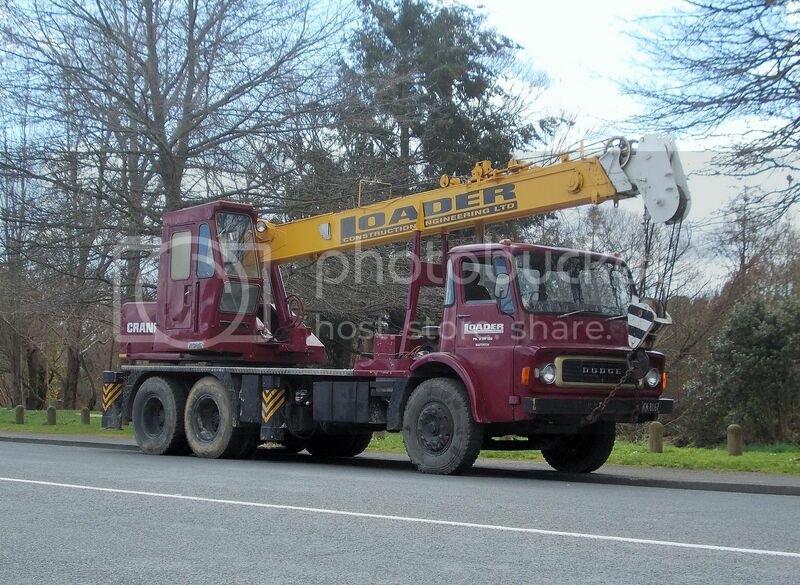 It started life as a crane truck from day one, having had the chassis extended for the purpose. I'm not sure just how much of the original truck remains, as I do know that the cab has been replaced at least once and the engine has also been replaced, but at least it is still a V8 Perkins from that era.